Sir Paul McCartney only had eyes for his wife Nancy Shevell at Michelle Obama's 50th birthday party on Saturday night, where they danced the night away together. 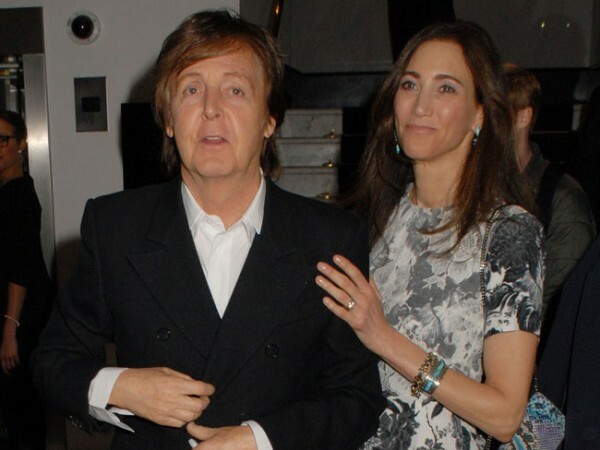 Sir Paul McCartney only had eyes for his wife Nancy Shevell at Michelle Obama's 50th birthday party. The couple, who tied the knot in 2011, were among the 500 guests at the US first lady's star-studded bash at the White House in Washington D.C. on Saturday night, where the Live and Let Die hitmaker (71) declined all other invitations to hit the dance-floor in favour of boogying the night away with his businesswoman spouse (54). A source told People.com, "Sir Paul didn't allow many people to come between him and his bride. He came to party! He pulled his jacket off, put it at Valerie Jarrett's table and then danced away with his wife." Other guests included Stevie Wonder, Gladys Knight, Jennifer Hudson, Janelle Monae, Mary J. Blige, Angela Bassett, Samuel L. Jackson, Grant Hill, Alonzo Mourning, Ledisi, Emmett Smith, Star Jones, Al Roker, Steve Harvey, Magic Johnson, Billie Jean King and Michael Jordan. John Legend and Beyoncé, who attended the party with her mother Tina Knowles, both performed. The 32-year-old beauty sang six of her hits including Single Ladies.